A rich and delicious sauce created from the beer of the famous irish brand: Guinness! You can add this dark thick sauce with its typical Guinness flavour to your meat dishes ou use it for marinades. 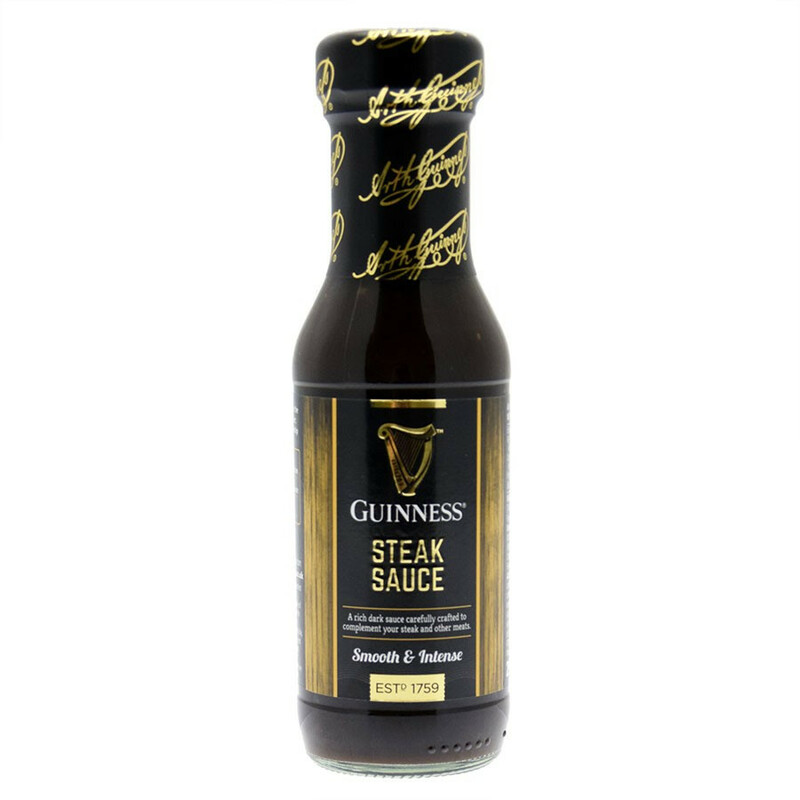 Its taste is smooth and intense - ideal when you cook a steak, just cover it with Guinness sauce and enjoy! Ingredients: glucose-fructose syrup, water, tomatoes [tomatoes, firming agent (calcium chloride), acidity regulator (citric acid)], Guinness® beer (7%) [water, malted barley, barley, roasted barley, hops, nitrogen], barley malt vinegar, molasses, modified maize starch, salt, colour [plain caramel], paprika, garlic powder, onion powder, colour [vegetable carbon], black pepper, natural flavourings, cinnamon. Allergy advice: for allergens, including cereals containing gluten, see ingredients in bold. May also contain peanuts and nuts. Store in a cool , dry place. Once opened keep refrigerated and consume within 4 weeks. For Best Before, see packaging.